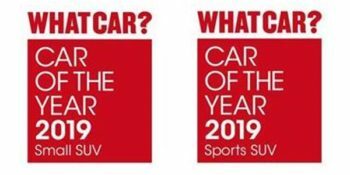 On 22 January, the SEAT CUPRA Ateca won sports SUV of the year and the SEAT Arona won small SUV of the year (for the second consecutive year) at the What Car? awards in London. Judges and motoring experts have commended the winning sports SUV for its fun driving style and value for money compared to rivals. The SEAT Arona celebrated its first full year of sales by winning small SUV of the year by What Car? judges. It won the same award in 2018, with its 1.0 TSI 95 engine and in SE Technology specification.